When a carrier sells a new smartphone to a customer, with a 2 year contract, they reduce the price to make it more competitive. So from the total value of the new phone the buyer pays a small percentage and the rest is paid by the carrier, on the promise that the customer will pay monthly fees for 2 years. That percentage that is paid by the carrier is called a subsidy. 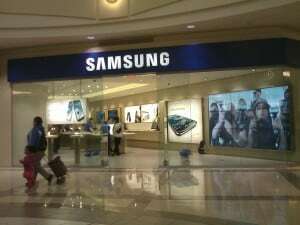 According to an ABI Research report, Samsung is the manufacturer with the biggest subsidies in the US. The report indicates that Samsung has subsidies reaching 84%. This 84% from the up-front price of the new device is paid by the carrier, while the customer will pay for 2 years a fee that will give the carrier its money back. Compared to Samsung, HTC has subsidies of 80% on average, while Apple has 74%. It was well known to the public that Apple had unprofitable conditions on their phones for carriers, despite what the report says about the subsidies. Samsung’s strategy to increase subsidies is actually giving them a competitive advantage. With the prices as low as they can be Samsung really works its way up to smartphone market dominance. Samsung’s devices have sold very well until now, but good manufacturers are coming from behind and a good pricing strategy is not going to be enough the win the market.